Welcome to Pickering Oral and Maxillofacial Surgery! Our surgeons and staff in our Pickering office strive to provide you with the most comfortable experience possible for your Oral Surgical needs. We are surgeons who specialize in the diagnosis and treatment of problems related to the mouth and anatomy of the head and neck. Our surgeons provide diagnostic and therapeutic care for our patients in all facets of Oral and Maxillofacial Surgery. We perform surgery in our office and at the Rouge Valley, Sunnybrook, Mt. Sinai and Scarborough Hospitals. Sedation and General Anesthesia is available for office procedures. This website is intended to provide you with helpful information about us. Please feel free to click on the menu items above for more details about our surgeons, our staff and the services that we offer. Please feel free to email or call our office. Thank you! Third molars, wisdom teeth, often don't have enough room to erupt properly into the mouth. This may lead to many significant health problems. We can help in assessing your wisdom teeth and discussing their extraction, if needed. Sadly, sometimes the loss of one or more teeth is unavoidable. Dentistry can offer several options to restore most instances of tooth loss. Usually, the best option, biologically and mechanically, is dental implant placement for tooth replacement. Find out if this solution is suitable for you. 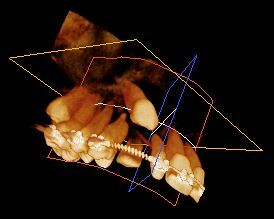 Advanced surgical planning often requires 3 dimensional imaging of your jaws. Our office is equipped with a Kodak Cone Beam CT machine to provide immediate information regarding your surgery.